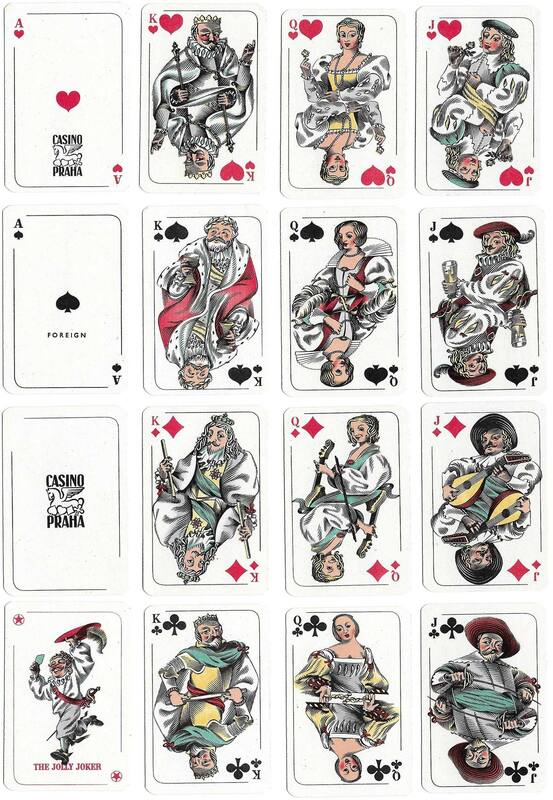 Patience size playing cards published by Obchodni Tiskarny of Prague (formerly Piatnik/Ritter & Co) under the brand “Casino”, with cartoon courts by an unknown artist in the style of wood engravings. The court figures are said to depict characters from the popular Czechoslovakian film Císařův pekař a pekařův císa (”The Emperor's Baker”) which was released in 1952 with Jan Werich as both the Emperor and the Baker. “Casino” was the brand-name in Britain for OTK cards after the war. 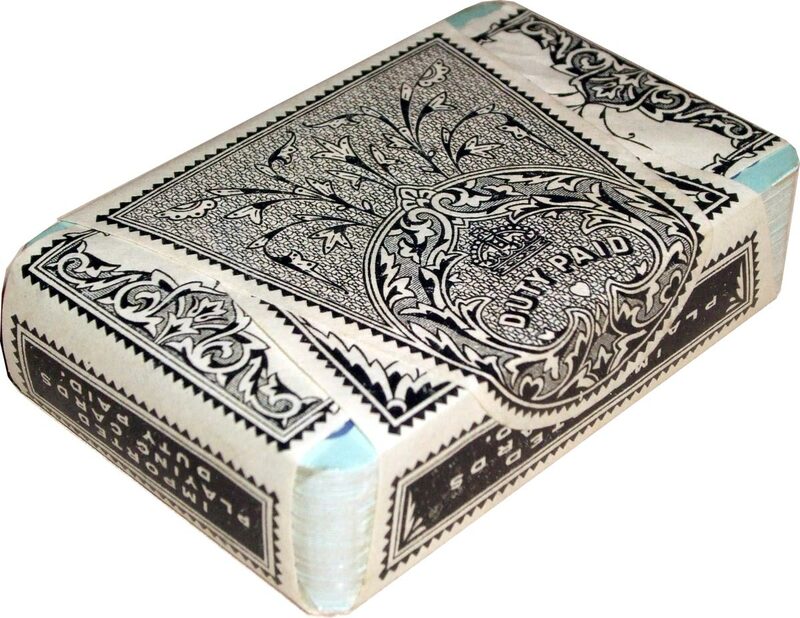 Above: Patience playing cards No.140 published by Obchodni Tiskarny (formerly Piatnik/Ritter & Co) of Prague, in various editions. Images courtesy Rex Pitts / Ken Lodge. 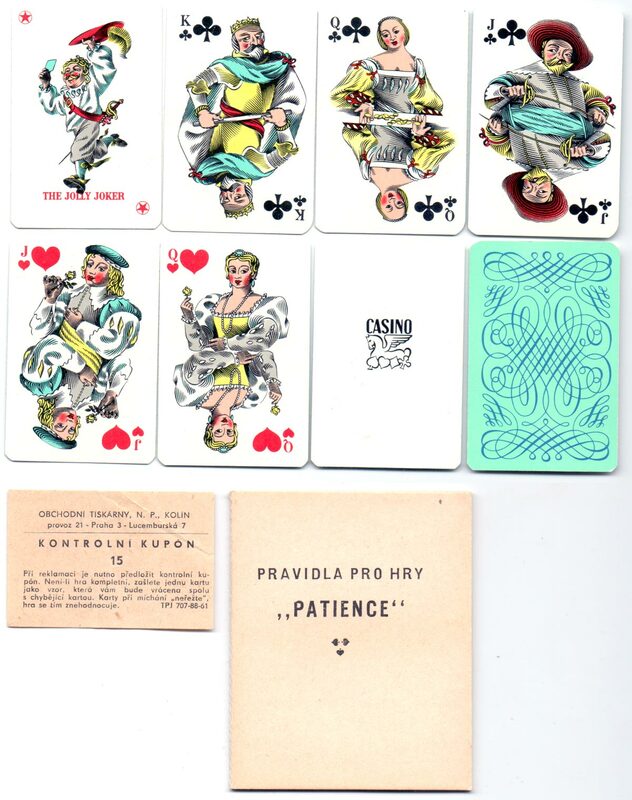 Above: Patience playing cards No.140, with booklet and control slip, published by Obchodni Tiskarny, c.1960, without borders. Below: an example in the U.K. import tax wrapper, c.1955.